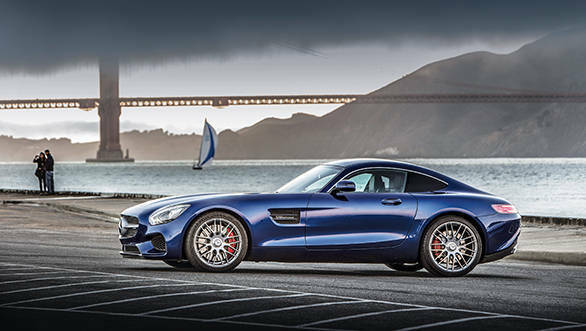 Mercedes-Benz India will be launching the fifth AMG car this year in India on November 24, 2015 - the AMG GT S.
The AMG GT S slots between the AMG GT and the SLS AMG. In fact, it's a smaller-engined, lighter and more fuel efficient version of the SLS AMG - it even gets a long hood on the front which resembles the supercar. 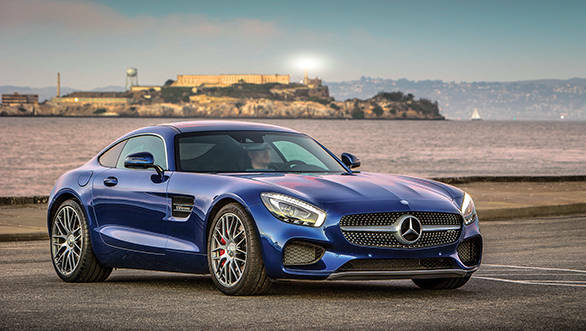 About 90 per cent of the Mercedes-AMG GT S is made up of aluminium to better the power to weight ratio. It also gets five traction control modes, starting from Comfort mode, and going all the way to Race mode. Under the hood of the AMG GT S is a 4-litre twin-turbo V8 engine producing 510PS of power and 650Nm of torque - higher than the AMG GT. It comes mated to a 7-speed dual-clutch transmissio. Mercedes claims a 0-100kmph sprint in 3.5 seconds and a top speed of 310.6kmph. The Mercedes-AMG GT S is a track-focussed machine and will compete with the likes of the Porsche 911 and the Jaguar F-Type. Expected it to be priced around Rs 2-2.5 crore.